I think it is safe to say that at one point or another, we have all been responsible for teaching someone else a skill. Maybe you instructed a younger sibling, friend, or coworker on how to (or how not to do) a particular task. Or, maybe you have just given someone a nudge in the right direction regarding some social norms or etiquette. Whatever the case, I think the point is simple: we have all been teachers at some point in our life. 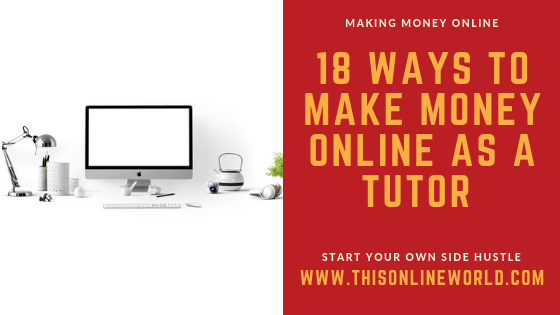 Teaching might not be your occupation, but if you possess a skill that is in high demand and have some basic communication skills under your belt, you can make money online by tutoring. So, if you’re wondering how to become and online tutor and want to get a job as a tutor, this is the post for you! 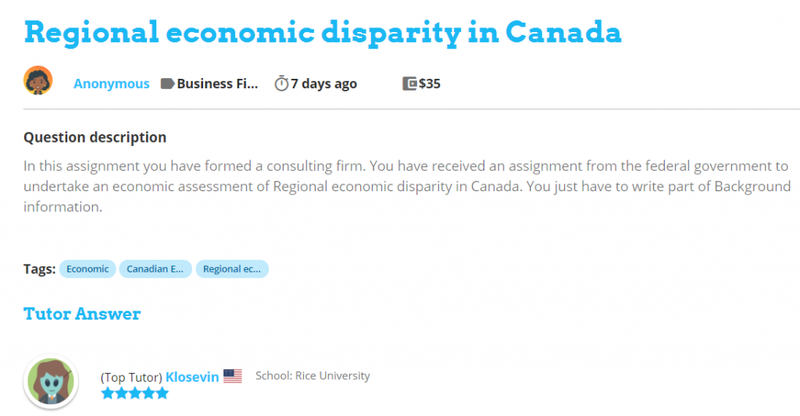 2 of my close friends have worked as online tutors in the past, and I’ll also be using job review websites like Glassdoor and Indeed to gauge the general pay rates of each tutoring platform. Additionally, I’ll also look to the general consensus on Reddit to see how users of these platforms have enjoyed (or not enjoyed) their experiences. How to teach English online without a degree. Teaching ESL online with a degree. How to tutor other subjects online to earn money. English is the 3rd most spoken language by native speakers following Mandarin and Spanish, and there are several hundred million people (or even more than a billion, according to some estimates) who speak English as a secondary language. Since English is a useful language to know when it comes to working internationally, the demand for skilled English teachers is ever present. Additionally, there are dozens of ESL based websites or platforms where you can teach English online with or without a degree. When it comes to freelancing, tutoring online is a great way to get started! If you’re looking to make money by teaching English online, I recommend the using the following tutoring websites. PalFish is an online tutoring platform that pays native English teachers to tutor ESL students. Unlike many English tutoring websites, PalFish is actually a mobile app for IOS and Android, and this is what makes the platform very appealing for many PalFish users. PalFish is also an app many aspiring tutors turn to because it is basically a way to earn money by just speaking conversational English. PalFish is based in Beijing, and the majority of students on PalFish are young Chinese students who are looking to learn English from native speakers. However, PalFish allows tutors to either teach lessons and develop their own curriculum or just have a conversation with a student. When you start an individual call with a student, they are charged by the minute. Most students on PalFish only want to engage in a conversation, and this makes your job much simpler as an online tutor. Just call, have a conversation/do some basic teaching, and earn money. PalFish is truly one of the best ways to teach English online without a degree. You are free to set your own schedule, hourly rates, and you aren’t required to have a minimum call length unless you are teaching official lessons and curriculum. According to PalFish’s website, hourly rates are typically between $10-$18, although you can also earn bonuses which can increase this rate. However, this is most likely for curriculum-based lessons rather than the free talk option. In either case, you are free to set your own rates, and as you develop your rating and become a better teacher you may find it makes sense to charge more. So, in a nutshell, PalFish is a great starter option for people considering online ESL teaching jobs. One important thing to note is that PalFish takes 20% commission on every call. The platform also pays out in RMB once you reach roughly 200RMB, or $30USD. When estimating how much you will earn by tutoring on PalFish, factor in currency conversion rates and Payoneer/PayPal fees! Fairly informal app, and the lessons are provided for teachers. The app is somewhat saturated at the moment and hard to join due to a flood of users from reddit Beermoney and other websites (from what I hear). Check out PalFish and starting tutoring online! If you are looking to get a job as a tutor, SayABC is another great website where you can begin your search. 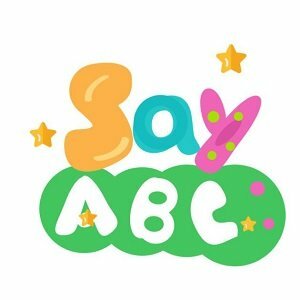 SayABC is yet another ESL-China centered platform where you can make money online by teaching English without a degree (kinda). In a nutshell, SayABC is like PalFish; teach 40 minute classes to groups of 1-4 students, and earn an hourly wage. To work as an online tutor with SayABC, you have to undergo their application process and pass their interview. Have a desktop or laptop that also has a webcam (you can’t educate from a phone or tablet with SayABC). You must have a headset that has a microphone. Possess a native level of spoken English. You must live in the U.S., China, Singapore, Korea, Japan, Canada, Mexico, Europe, Australia, or the Middle East. As you can see, SayABC isn’t the strictest of platforms, but you cannot tutor for more than 3 months without a bachelor’s degree. However, if you have some previous teaching experience under your belt, your odds might not be too shabby for securing a short term gig. Lessons on SayABC are booked at fairly odd time slots, and there are only a few hours of each weekday that are available for bookings. However, SayABC teachers are required to teach the same group of students for their 3 month contract, and classes are always on the same time slot. SayABC will give you the lesson material, but you have to be on time and stick to the schedule. In terms of payment, SayABC pays $15/lesson, with a $6 incentive possibility that is awarded based on performance. So, realistically you can earn $21/40 minutes. Additionally, if you work on standby-mode (where lessons are dropped on your suddenly if other teachers cancel at the last minute), you earn an additional $7. SayABC also pays on the 15th of every month through wire transfer, and you may be eligible to receive a raise if you choose to renew a contract after 3 months of tutoring. Opportunity to earn $28/40 minutes if you work in standby mode. Fairly limited range of lesson slots for online tutors. You cannot teach for more than 3 months without a degree. Glassdoor Average Review: 4.2/5 stars. Learn more about SayABC here! 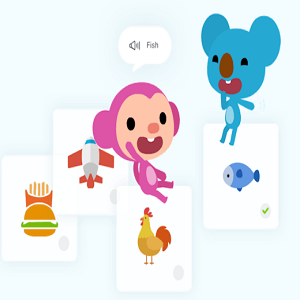 QKids connects younger Chinese students with native English speakers from around the world. 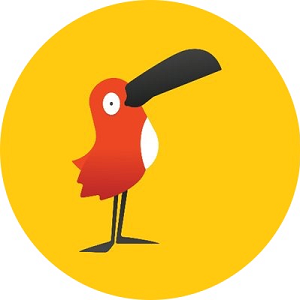 Unlike other ESL platforms, QKids uses a curriculum that is largely based on games and stories to assist tutors in educating their pupils. Submitting a screenshot of your computer specs. 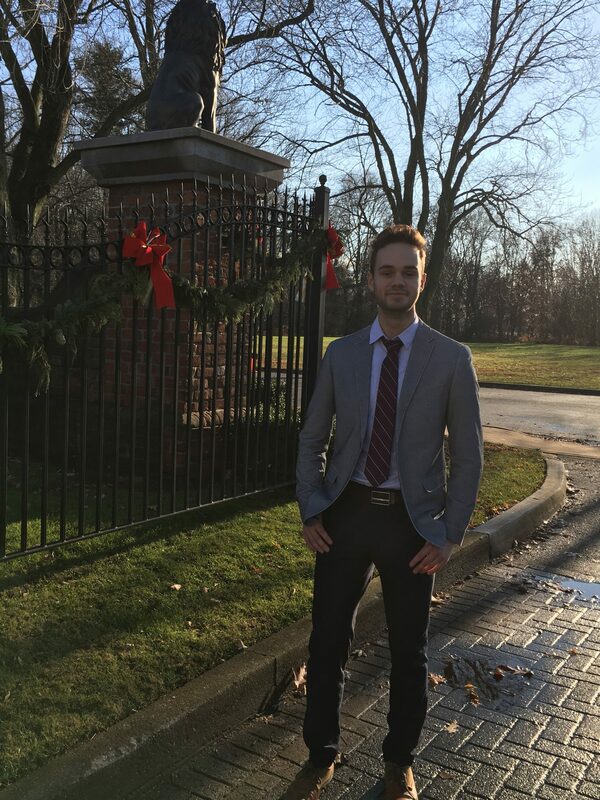 Completion of 2 demo interviews. Creating a 1-2 minute demo video of you reading a children’s story. Teaching 2-5 trial lessons (which you are paid for). Granted, QKids does allow for tutors to teach English without a degree, but I’ll admit, the application process is irritating. QKids also requires their tutors to live in the United States or Canada. Classrooms on QKids range from 1-4 students, and the game-themed curriculum is provided for you through the platform. Online tutors are paid $16/hour on QKids, and you are required to teach a minimum of 6 hours (12 lessons) per week. However, QKids also offers $1USD bonuses for attendance and performance per lesson, so you can potentially earn $10/lesson if you are a strong tutor. QKids pays out their tutors in USD via a wire transfer before the 15th of every month, and they also cover the transfer fee. Different lesson style might be up your alley. The application process is irritating. Glassdoor Average Review: 4.3/5 stars. Learn more about tutoring with QKids here. Cambly provides students from around the world the opportunity to ‘learn English at the touch of the button,’ and is a fairly establish ESL tutoring platform. Cambly isn’t tailored to only serve the Chinese ESL marketplace. Rather, the platform is designed for anyone around the world to improve their English skills. The interesting part is, on Cambly, you barely even work as a tutor. To work with Cambly, you simply need to be a native English speaker and have access to a computer with a webcam. Additionally, you won’t be teaching any curriculum to students if you work with Cambly…you’ll just be chatting with them. Like PalFish, Cambly is all about connecting native speakers with those trying to learn English so they can have simple conversations. No lesson plans or strict classroom time slots. Cambly tutors earn $0.17/minute, which equates to $10.20/hour. If you’re looking for a relaxed online ESL teaching job, this is it. Set your own hours, work for as long as you like, and enjoy a low payout threshold of $20 that is paid out every week through PayPal. No monthly hassles, commitments, or penalties for not sticking to a schedule. You don’t need a degree to teach English online with Cambly. This is one of the most flexible online tutoring platforms out there. Payments are sent weekly, require a low payout threshold, and are done through PayPal. Low hourly pay compared to the ESL tutoring industry. Learn more about working as a Cambly tutor here. VIPKID is another great online tutoring platform where it is possible to teach English and make money as a tutor. Interestingly (to me at least), VIPKID was also founded by Cindy Mi, a high school dropout who envisioned VIPKID and has lead the platform to currently stand at a $3 billion dollar valuation. Pretty neat! 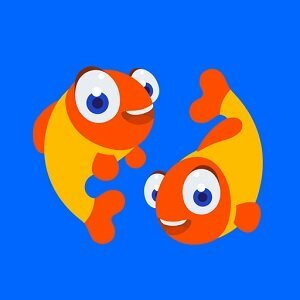 VIPKID, like PlaFish, caters to Chinese students who are looking to learn English from native speakers. On VIPKID, tutors connect with students for 25 minute lessons that are conducted through VIPKID’s online learning platform. While you do need a Bacherlor’s degree or higher to be eligible to teach on VIPKID, the money can be worth it. 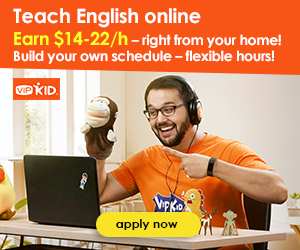 According to their website, VIPKID tutors earn $14-$22 USD/hour, and you can even receive a raise following the completion of your contract and the renewal of another term. Speaking of contracts, VIPKID definitely has one. This is certainly one of the more formal online tutoring platforms, so keep this in mind. If you are accepted into VIPKID following your application and interview, you will sign up for a 6 month teaching contract. Each month, you will have to enter your weekly availability, and weekly schedules will be sent to teachers every Saturday. A teacher will never be booked for a class with less than 24 hours of notice. VIPKID suggests that teachers allow for at least 7.5 hours of lessons per week, which would equate to 15 tutoring sessions (since each session is roughly 30 minutes). Popular tutoring times are based on Beijing peak times, which include 6-10pm during the week and all-day during the weekends. Depending on your time zone, this may or may not be an issue. For anyone who is looking for some stability in their tutoring routine, VIPKID is definitely one of the best options. Plus, VIPKID pays some of the highest hourly rates in the industry, and is a great way to start making money as a tutor. A rigorous screening process and strict scheduling system will appeal to tutors who need some semblance of a schedule/routine. Hourly pay is quite good. Payments are sent between the 10th and 15th of every month. You can’t teach on this platform without a bachelor’s degree. This isn’t a great side hustle opportunity for people who aren’t willing to commit to a schedule. Glassdoor Average Review: 3.9/5 stars. 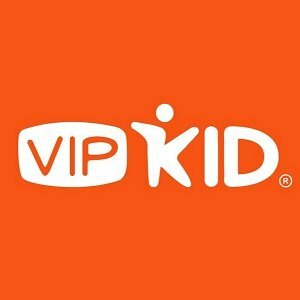 Sign up for VIPKID if you are interested and help support This Online World. 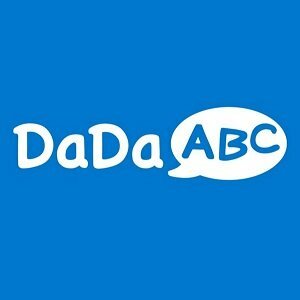 DaDaABC is yet another company that connects online tutors who speak English at a native level with Chinese students. DaDaABC does require their tutors to hold a bachelor’s degree, and tutoring contracts are either 6 or 12 months long. DaDaABC also requires their tutors to have a desktop/laptop with a webcam, microphone, and headset. The application process is fairly straightforward, and interviews are conducted via Skype if you make it through the initial application stage. Once accepted, you are required to teach at least 2 hours per day on at least 2 days of the week during specified time slots. Monday – Friday: 6:00pm – 9:10pm. Classes range between 30-60 minutes on DaDaABC, and teachers generally earn $15-$25/hour based on average rates I have seen on Glassdoor and other job boards. Payouts come once a month via bank transfer, and ultimately, DaDaABC isn’t a bad way to make money online as an ESL tutor. Slightly lower payout than websites like SayABC. You need a degree to tutor on DaDaABC. Glassdoor Average Review: 3.6/5 stars. Learn more about this tutoring opportunity here. GoGoKid is another ESL-Chinese focused platform, and is currently undergoing a pretty major marketing push to grow their platform…after all, new GoGoKid tutors can earn a $300 bonus if they teach 3 lessons within the first 30 days! But before we get right to the money, let’s talk about the application process. A native level of English speaking ability. 1 year of previous teaching experience. A desktop or laptop with a headset/microphone combo, and a webcam. Once you apply with some basic information to GoGoKid, you may be select for an interview. During the interview, you actually teach an demo lesson with some GoGoKid lesson content. If you are accepted into the program, all that’s left to do is sign a 6 month contract and begin teaching! However, you should know that the bonus, like all things that seem too good to be true, is not guaranteed. GoGoKid uses a rating system to monitor tutor quality, and if your score dips below 100 during the bonus probation period (due to you missing a class or negative reviews from students/parents) you will not receive your bonus. Additionally, if you don’t hustle to book your 3 students within the 30 period, you also won’t receive that bonus! However, one of the great aspects of GoGoKid is that you can earn 60% of your base pay just by setting your availability during peak times. So, if you open some peak time slots but no students book those times, you will still receive 60% of your base pay if you are waiting online for students. Since GoGoKid is a newer company, it may be worth taking advantage of signup bonuses and incentives before they are gone! High hourly pay if you can keep your rating high enough. It might be difficult to fill your weekly teaching schedule since this is a newer platform. One bad review might ruin your chance at the signup bonus. Glassdoor Average Review: 3/5 stars. 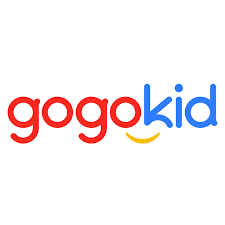 Learn more about GoGoKid on their website. iTutor Group –iTutor Group and their child companies provide a network of tutoring platforms where online tutors can make money. Currently, iTutor Group child companies include vipabc, TutorABC, TutorJR, and vipJR. Thse platforms generally focus on teaching English to children in China and Taiwan, and could be worth researching if you find other ESL tutoring platforms to be saturated. Italki – On Italki, teachers are broken into 2 categories: professional teachers, and community teachers. Professional teachers have to have accredited teaching certification, whereas community teachers only have to be native speakers. Italki also uses Skype as their teacher-student portal. Italki is also interested in hiring tutors who can educate students in other languages besides English, and tutors also set their own hourly prices. Realistically, you can expect to earn between $15-$20 on Italki based on current industry averages. NiceTalk – A lower paying but simple app-based tutoring platform where you can earn money by chatting with students. The app has some signup issues for certain users, and your hourly pay works out to $10/hour with NiceTalk. This platform is definitely one of the worse online tutoring options but it is good for tutors who can’t find work with other companies. 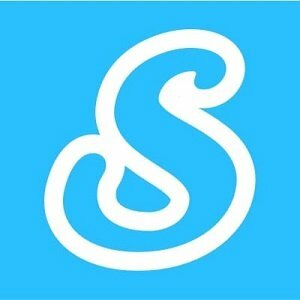 SameSpeak – SameSpeak is another tutoring platform that connects native English speakers with students via Skype. SameSpeak providers their tutors with material to teach conversationally, and tutors earn $10/half hour lesson. SameSpeak pays out at $100 thresholds, so you’ll have to commit to at least 20 lessons to earn any money with this platform. There are dozens of other ways to teach English online to make money. However, as always, make sure to avoid suffering paralysis by analysis. 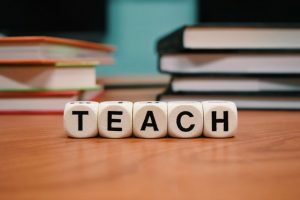 I tried to include some of the most popular, highest paying ESL tutoring platforms in this list, and I certainly encourage aspiring teachers to begin their search with these platforms! If teaching English online isn’t quite right for you, perhaps there is another sought after skill you can share with others to make money! 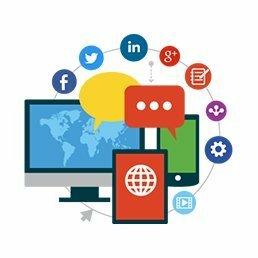 The following list of platforms are a great way to make money by teaching subjects or skills to others. In a nutshell, Chegg.com is a platform that allows students to seek help and tutoring for whatever problem they are struggling with. As a tutor on Chegg, you tell the platform what your skills are and are then matched accordingly. Students then submit their questions, and select tutors that they feel can help. For example, if you told Chegg you are an expert at calculus, you might be matched up with high school students when they ask calculus specific questions. Pretty simple! Chegg requires tutors to have access to a computer with a webcam/microphone, but lessons can be taught through text as well as audio/video. Applying to Chegg is fairly straightforward, and you’ll need to provide basic identity-related information and photo. You must also upload a diploma or proof of current college enrollment to prove that you have a degree or are working towards one. If you think you have what it takes to tutor online at a high school level or higher, Chegg is certainly a great place to start! Tutors earn $20/hour when first starting out, and payment is done via PayPal. Thankfully, Chegg calculates tutor payment by minutes, and tutors only require 5 minutes worth of work to be eligible for payment that week. So, you only need to teach 1 lesson to actually make money as a tutor with Chegg. Chegg is one of the most popular tutoring platforms for connecting elementary/high school students with tutors. Tutors earn decent hourly wages right out of the gate, and Chegg has one of the lowest payout thresholds around! There is a healthy selection of subject matter/categories to tutor. The popularity of the platform has lead to complaints surrounding the tutor to student ratio. If you aren’t a good tutor or aren’t able to build your tutor profile/reviews, you might struggle to find consistent work. Glassdoor Average Review: 3.1/5 Stars. 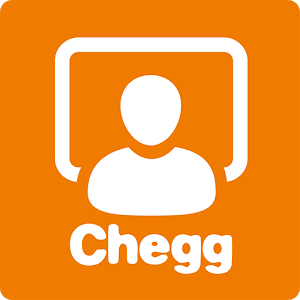 To sign up for Chegg or learn more about the company, visit their website! With a domain name like Tutor.com, it’s pretty obvious what this platform is all about. Additionally, in terms of the barrier to entry for becoming an online tutor, Tutor.com has one of the higher levels of requirements and aims to recruit only the very best. According to Tutor.com, their tutors are “teachers, professors, adjuncts, PhD students, and industry professionals” who are experts in the areas they tutor. To become an online tutor with Tutor.com, you need to live in the United States or Canada and have a degree from an accredited college/university (or be on your way to obtaining such a degree). Additionally, you will also have to pass exams in the areas you wish to tutor in, and Tutor.com will even conduct a background check on tutors who make it through their exam phase. You should also know that Tutor.com requires their teachers to use Windows computers; no Macs allowed! Tutor.com doesn’t have strict weekly requirements or quotas for their tutors to fulfill, and lessons are conducted in a fairly vanilla online classroom format where you just help your student with whatever they need. Somewhat surprisingly, Tutor.com pays their tutors roughly $13/hour, which I found odd when you consider the qualifications they require and how in-depth their application process is. You are paid $5.50/hour if you have scheduled a lesson and a student is a no-show, and you can also earn $1 raises when you receive a promotion to Tutor II or Tutor III. However, despite some positive reviews on Indeed and Glassdoor, the biggest drawback of Tutor.com is their low hourly pay. 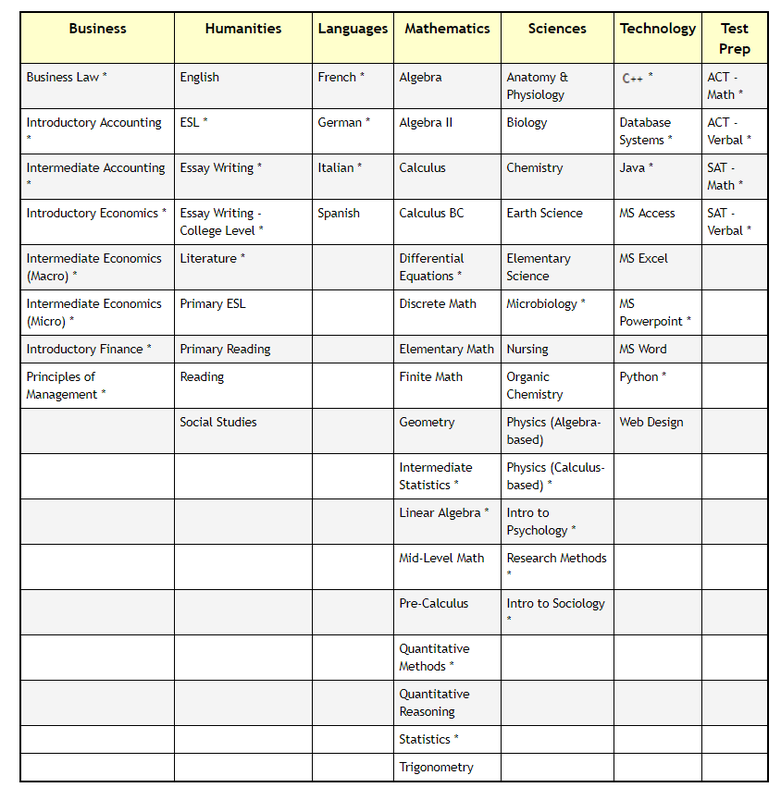 Some fairly specific courses/areas of subject matter are in demand. No weekly tutoring threshold or hourly requirements. One of the lower paying platforms in the online tutoring space. Glassdoor Average Review: 3.4/5 stars. Learn more about Tutor.com on their website! If you want to teach online and get paid, StudyPool is one of the more interesting and perhaps refreshing ways to accomplish this goal. 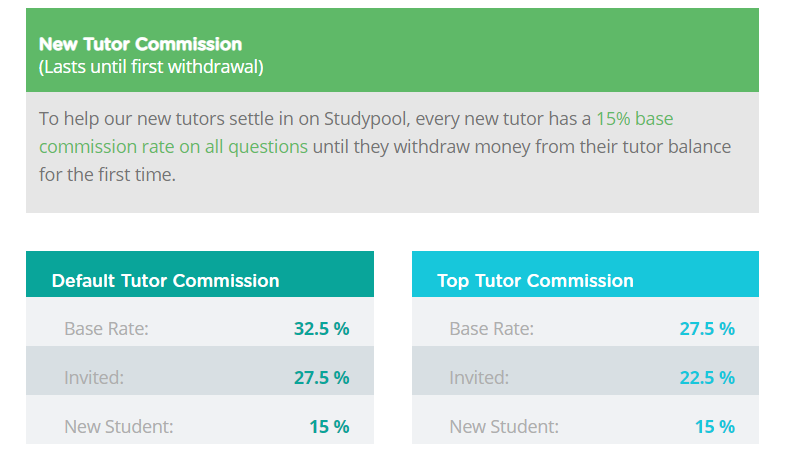 On StudyPool, tutors actually enter an auction against another tutors and bid on requests from students. If a student likes your qualifications and price point, they can pay you for your assistance. Now, whenever bidding is a factor, there will inevitably be competition and undercutting. That’s the beauty of a free marketplace! However, if you take a moment to browse some recent requests on StudyPool, you’ll quickly find that people aren’t just asking how to count to 3 or say their ABCs…there’s some more advanced material out there. 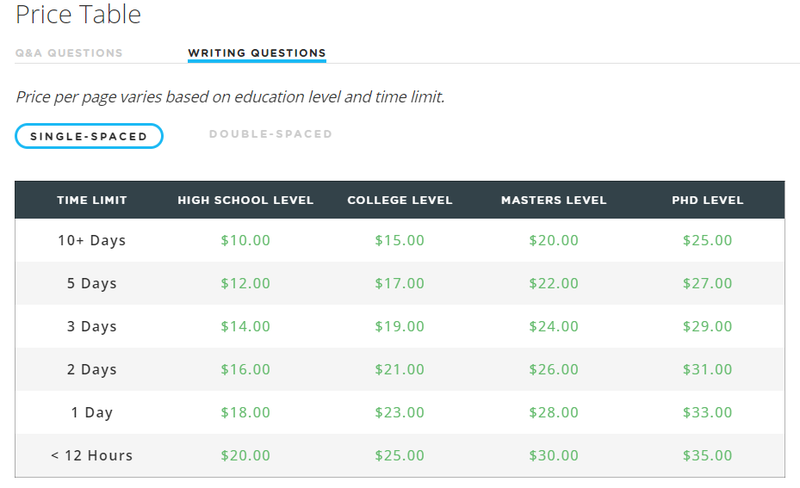 StudyPool does have some average rates you can expect for answering questions in a Q/A format or by writing paragraphs/papers for students. If you have a solid knowledge base about a particular subject, you might be able to make some money by picking off those questions as they come through the StudyPool feed. Alternatively, you could earn upwards of $30+/page you write if you are writing at a Masters/PHD level. To apply to StudyPool, you need to provide some basic information, verify your identity, and possible validate your educational experience/degree (which is recommended for crafting a more professional profile). Once you’re accepted, it’s off to the races! When you complete a gig, you are generally paid via PayPal a few days later. Bidding system allows you to remain competitive if you are desperate for work, but you can also cherry pick the more lucrative tutoring opportunities. This is a refreshing way to make money online by teaching students. Up to 35% commission is quite hefty. Depending on your area of expertise, you might have issues with question volume. Glassdoor Average Review: 4.7/5 stars. Learn more about StudyPool here! BuddySchool – A fairly archaic website but a reputable tutoring platform. Tutors can educate their students in languages, business, science, and many other subjects. TutorVista – You require a Master’s degree and some teaching experience to make it through the application process (which is why I’m not spending much time on this platform). This is one of the hardest online tutoring platforms to be accepted into, and you must also work 4 hours per day with this platform throughout the week. Payment ranges on age level and subject matter, but you can allegedly earn upwards of $40/hour with TutorVista. SkillShare – A platform that enables you to create your own course material and earn money by having students enroll in your classes. Udemy – Another course-based platform where you can sell your content/lessons to hungry students! Sometimes, starting a side hustle can seem intimidating because it can be hard to find the right skill/knowledge to apply. However, sometimes skills we take for granted like our ability to speak our native language or use some basic skills that are taught in high school can provide an opportunity to make money. If you are good with kids and have some patience, working online as a tutor can be a great way to earn some extra income and begin your journey into the world of freelancing. For college students in particular, tutoring ESL or other subjects can be a great way to make money while you are in school and start your first college side hustle. You will probably have to tinker with a few of the tutoring platforms I mentioned in this article to craft a schedule that works for you, but every hustle has some growing pains! Best of luck, and happy tutoring! If you want to check out some other great money making side hustles, I recommend reading my post on the best gig economy jobs!